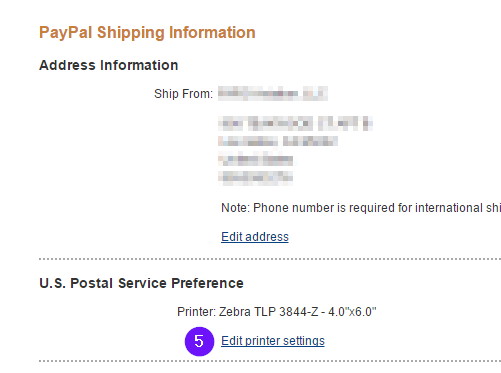 Rollo is compatible with printing from PayPal. You just need to change your printer settings to a 4 x 6. Note: For PayPal Multi-Order Shipping, please scroll to the bottom of this article. 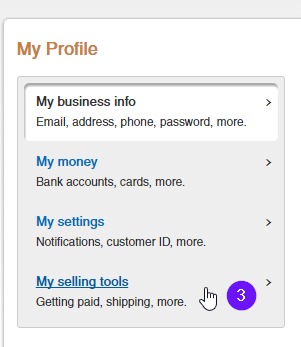 - Log in to PayPal and click the Profile tab at the far top right. - Under Shipping my items, click on Update next to Shipping preferences. - Pick Label Printer and one of the 4 x 6 printers such as the "Zebra TLP 3844-Z 4.0" x 6.0"
Note: PayPal stores labels as files on their website. After you change your label size to 4x6, only new labels will be created in this size. 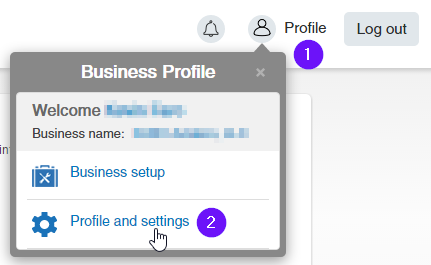 Previously generated labels will remain in the old size. You can always void an old label and when it is created again, it will be in the new size. 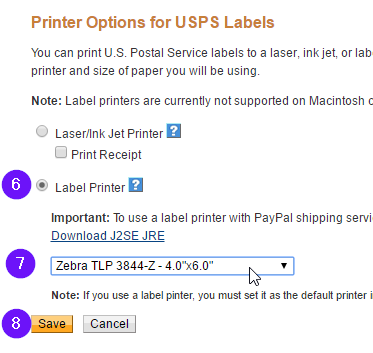 Choose "Print Settings" settings from the left menu, click on "Label Printer" and choose any of the 4 x 6 labels. To Save, click on OK.